How the 2014 Nissan Pulsar will beat the VW Golf | What Car? The 2014 Nissan Pulsar will beat the Ford Focus, Vauxhall Astra and VW Golf with its rear space, striking styling and standard technology, according to marketing manager Andrew Limbert. The Pulsar, exclusively photographed here by What Car?, goes on sale in the autumn with prices starting from £15,995. It marks Nissan’s return to a small family hatchback market it has been absent from since it stopped selling the Nissan Almera. It subsequently launched the smash-hit Nissan Qashqai, but is now trying to lure buyers in the conventional hatchback market too. As has become a Nissan hallmark, even entry-level Visia trim is well equipped, and comes with 16-inch alloys, Bluetooth, cruise control, air-con, and steering wheel audio controls. Acenta specification adds dual-zone climate control and a leather steering wheel and gearknob. It also has automatic lights and wipers, forward emergency braking and keyless entry. N-tec models get upgrades such as 17-inch alloys and LED daytime running lights. A reversing camera and Nissan’s Connect2 infotainment and sat-nav system are also standard. Range-topping Tekna cars have leather upholstery and heated front seats, Nissan’s Around View Monitor camera system, plus safety kit such as lane-departure warning and blind-spot monitoring. The Pulsar will come with two engines at launch: a 108bhp 1.5-litre diesel, and a 113bhp turbocharged 1.2-litre petrol. As in the Qashqai, the 1.5 diesel will have CO2 emissions of less than 100g/km. In early 2015 a 187bhp 1.6 petrol will join the range. All the engines will be offered with a choice of six-speed manual or Xtronic CVT automatic gearbox. 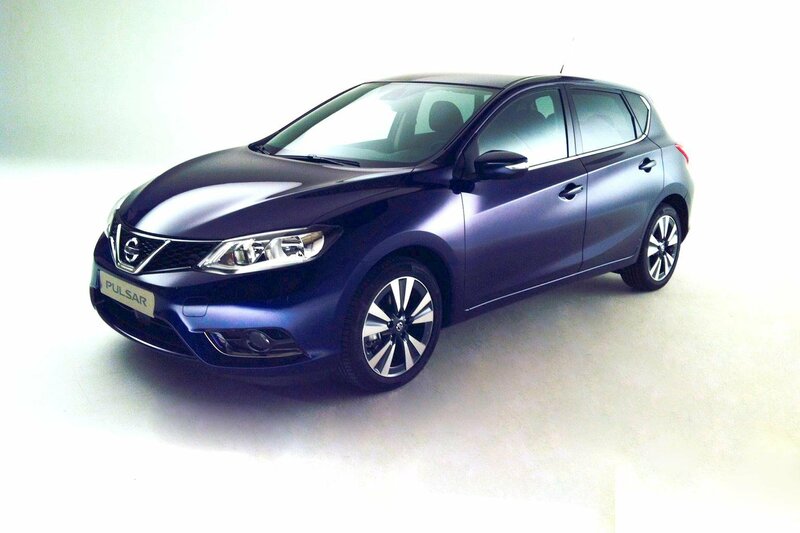 The Nissan Pulsar goes on sale this autumn. Although we haven’t got firm Target Price data, our experience with other Nissans suggests that initial dealer discounts of around £1500 are likely.